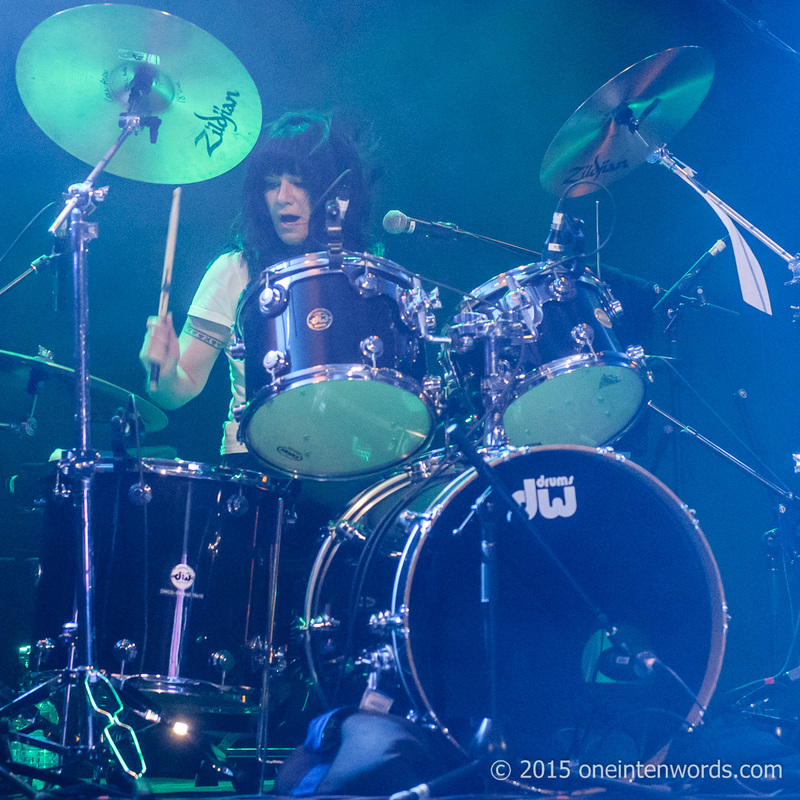 Fifteen years is a long time to wait for anything. 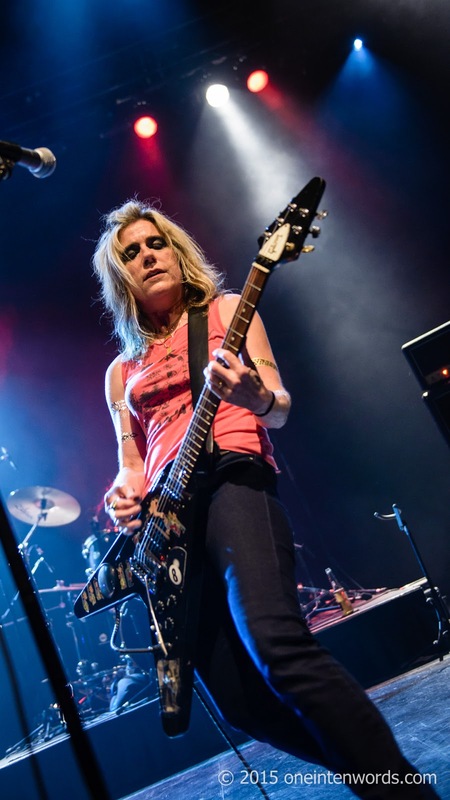 That's how long it's been since L7 was last in Toronto for a gig. 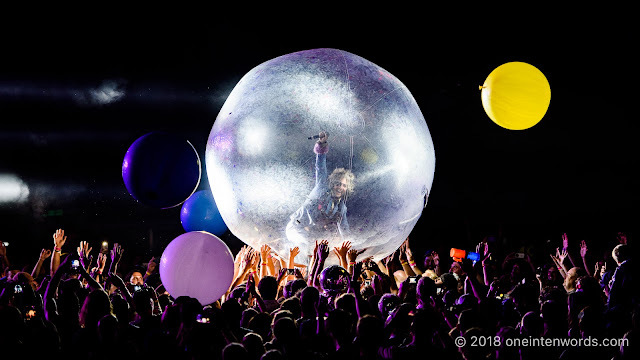 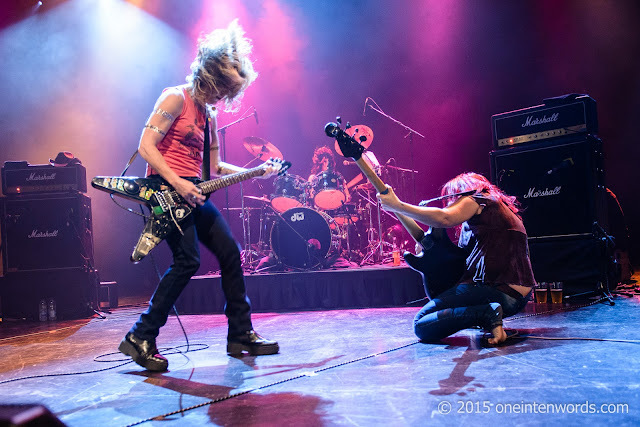 They played a Sunday night long weekend gig on September 6 at Toronto's Danforth Music Hall to a big crowd of fans. 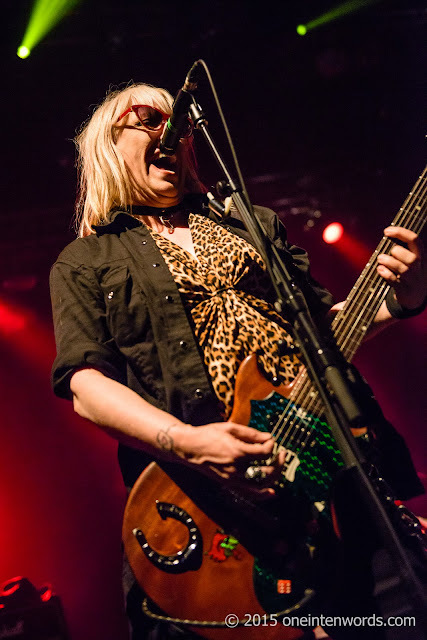 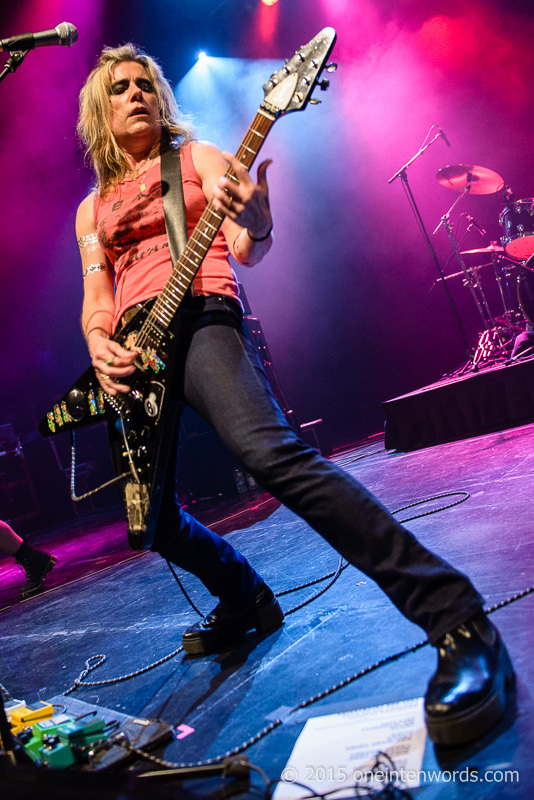 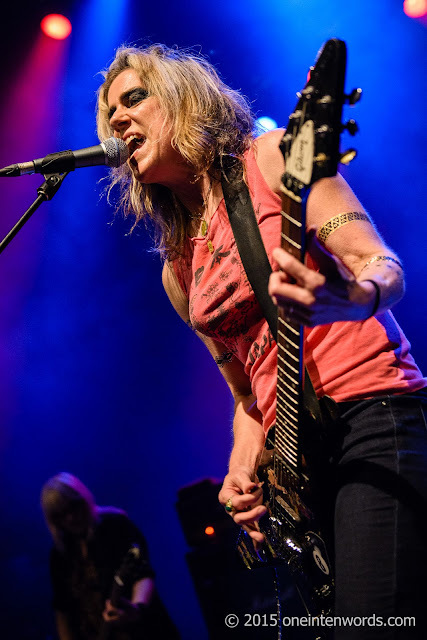 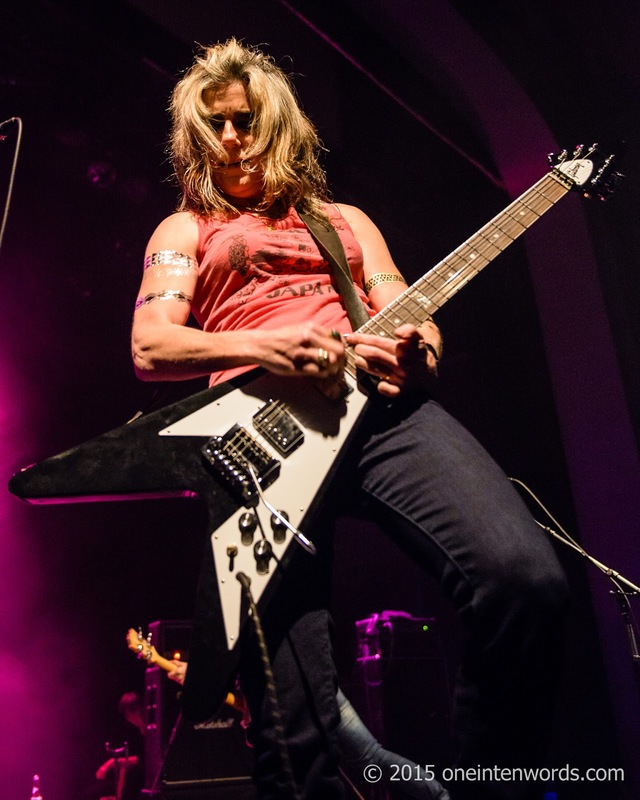 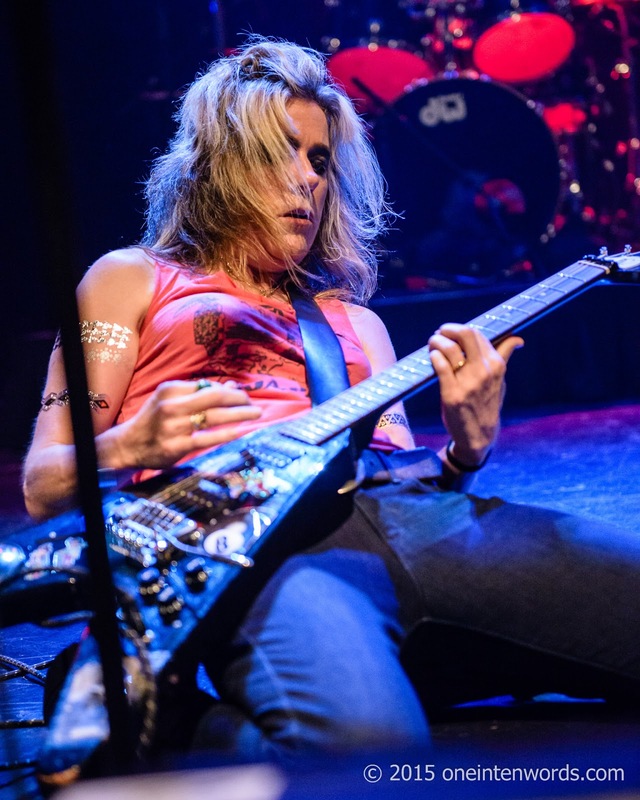 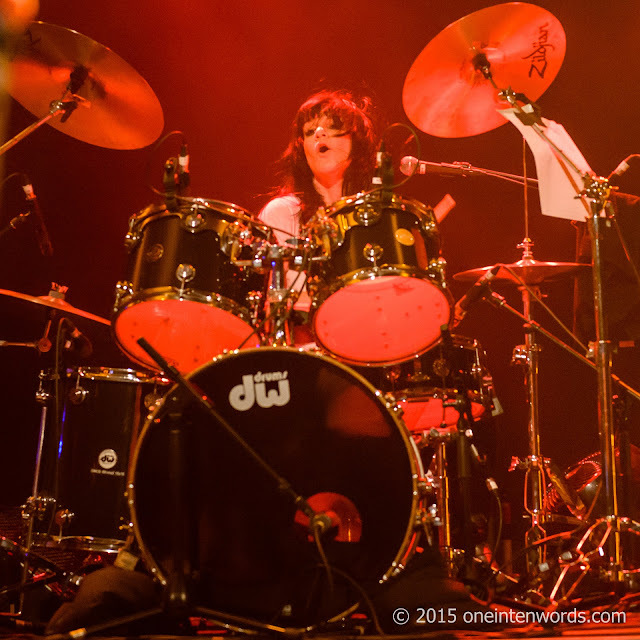 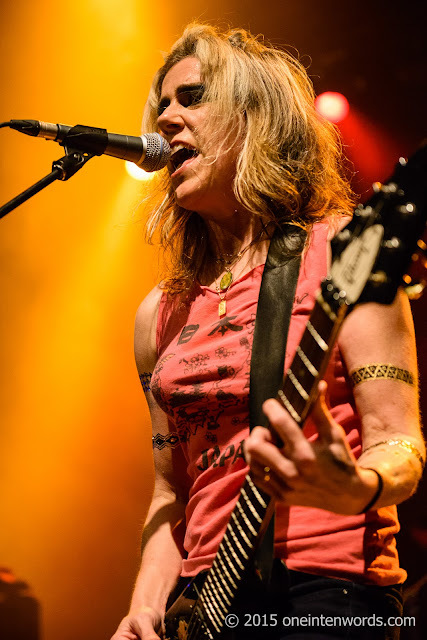 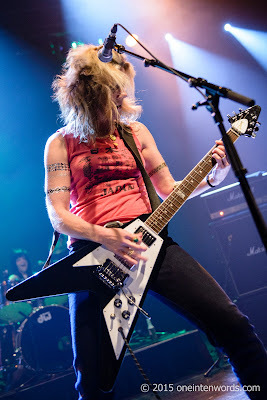 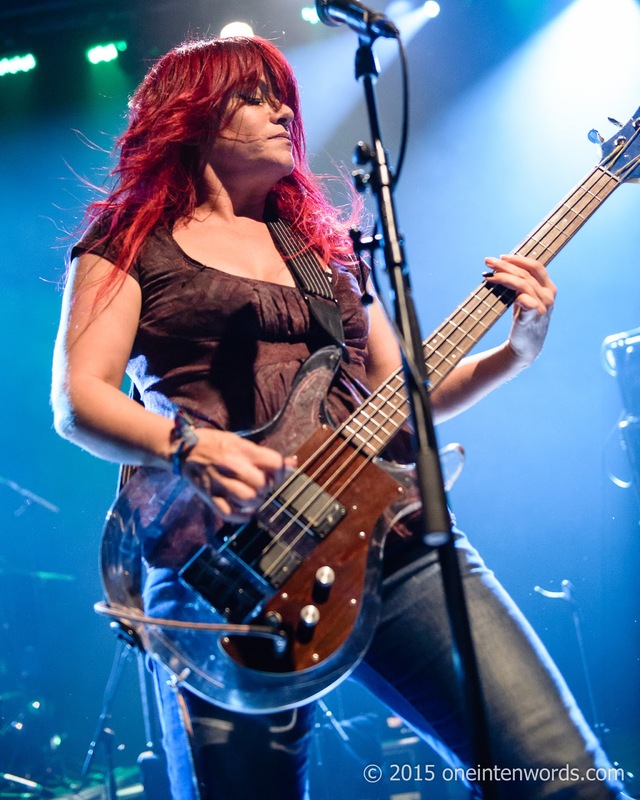 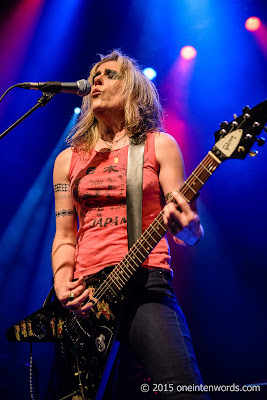 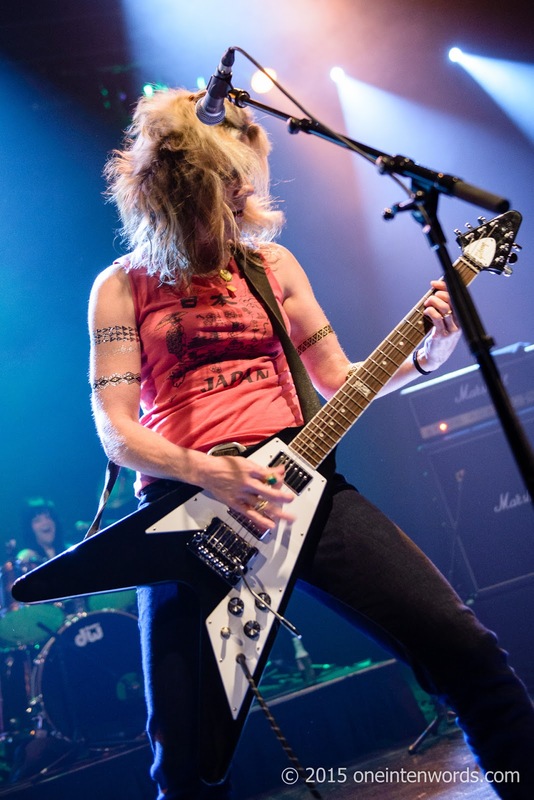 The wait was worth it as L7 put on a great-sounding, high-energy and crowd-pleasing set. 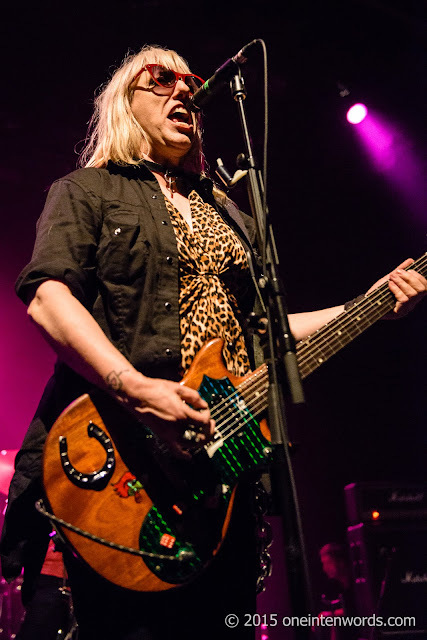 It was an eventful show for Donita Sparks but she handled it all with rock-star confidence and professionalism. An early fall turned into a super-cool rock pose (picture above); a hand injury required between-song attention, and we all learned a valuable lesson about the eye-burning perils of cheap raccoon eyes make-up. Middle encore tune "Pretend We're Dead"
Encore closer "Fast and Frightening"